Vytenis Andriukaitis, the EU’s Health and Food Safety Commissioner, said that the executive has no intention of submitting a new strategy to reduce alcohol-related harm in Europe, suggesting that the issue will be tackled as part of a broad range of “risk factors” affecting chronic diseases. On Monday (18th May), Andriukaitis gave a speech at the plenary meeting of the European Alcohol and Health Forum (EAHF) in Brussels, where he presented the Commission’s work on reducing alcohol-related harm in Europe. In the speech, he emphasised the need for a broad and holistic approach to reduce premature deaths related to alcohol misuse. But he made it clear that alcohol-related harm would not be treated in a seperate strategy as was previously done, but would instead be called a “risk factor” in a wider strategy to tackle chronic diseases. Mariann Skar, Secretary General of Eurocare, a network of non-governmental organisations that works on the prevention and reduction of alcohol abuse across Europe, said that it is both surprising and disappointing that the Commission was not responding to calls for a new strategy from the Parliament and the EU member states. “We have now been waiting since 2012 to see any development on policies to tackle alcohol related harm in Europe. It has continuously been postponed, and now was the time to present new actions. However, it is a great disappointment that the Commissioner is not able to address the calls from the Parliament and the member states for a strengthened policy framework to tackle alcohol related harm,” she said. But the alcohol industry, which has also long been pushing for a new strategy, remained calm over the prospect of the Commission not coming up with a new plan. 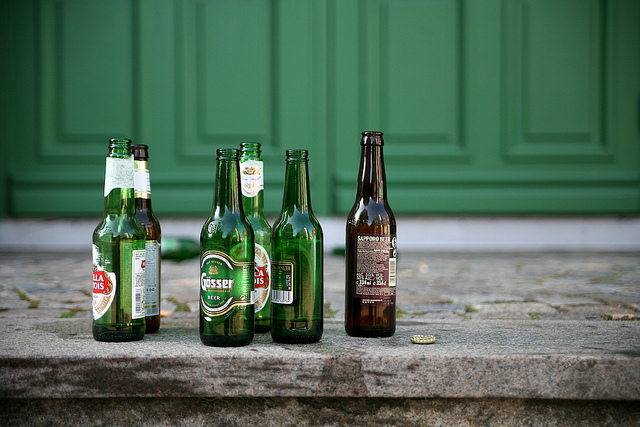 Malte Lohan, Global Corporate Affairs Director at AB InBev, the world’s largest brewer, said businesses, NGOs and other stakeholders are already working together in the EAHF to help reduce alcohol abuse in Europe. “Let’s not get hung up on words. Whether it is called an Alcohol Strategy or something else, the EU needs to renew the political foundation that underpins the EAHF so that we can build on and reinforce this important work,” Lohan stated. SpiritsEurope, which represents the spirits and liquor producers in Europe, told EURACTIV it would have no objection for the Commission to address harmful use of alcohol as a “risk factor” within the broader framework of non-communicable diseases. End 2015: Commission expected to publish report with recommendations on how to include alcoholic drinks into the EU's rules on food labelling.